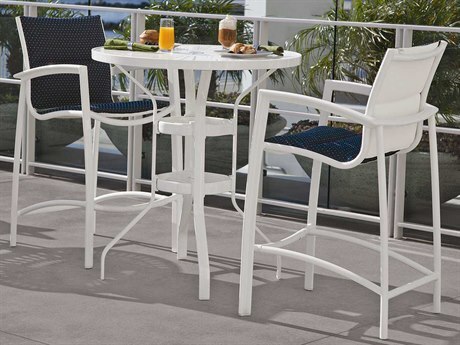 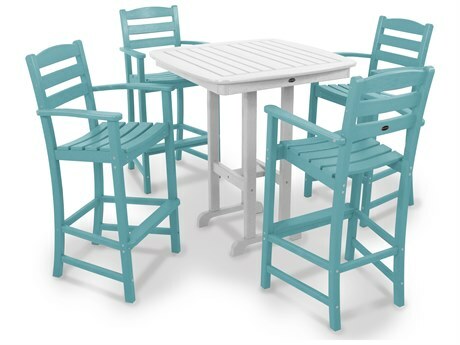 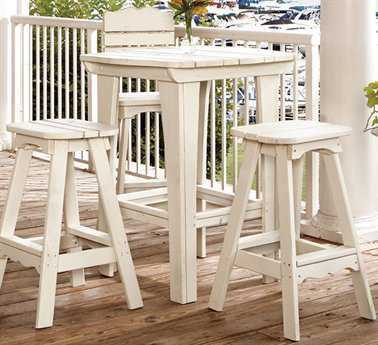 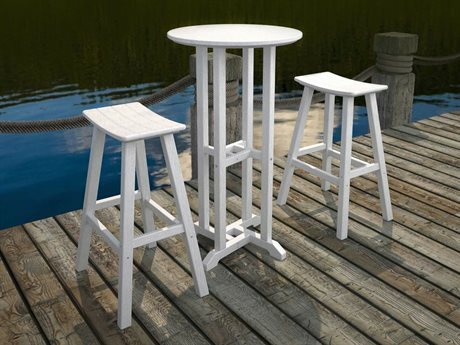 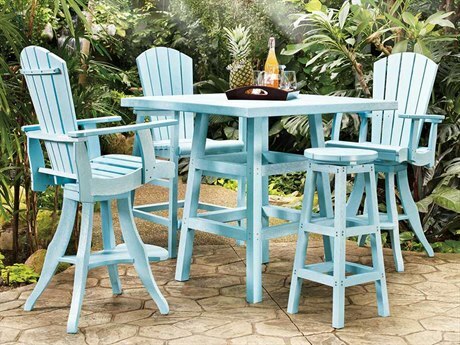 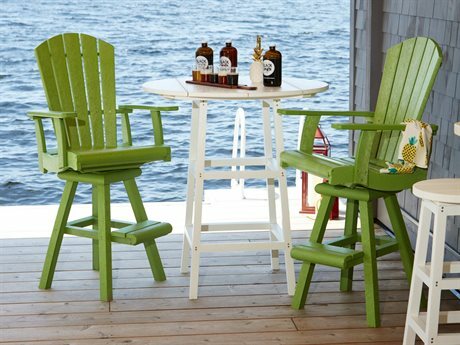 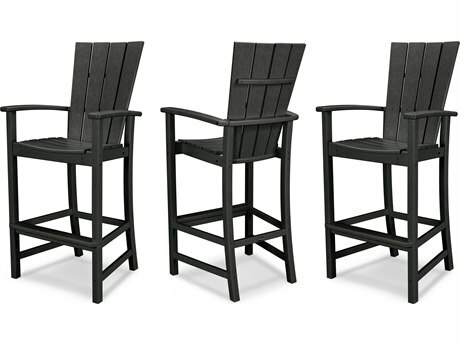 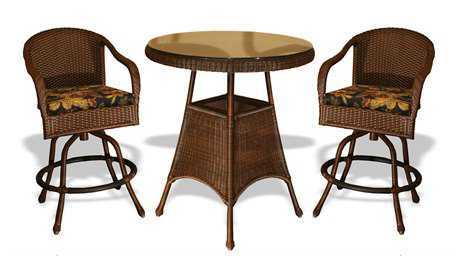 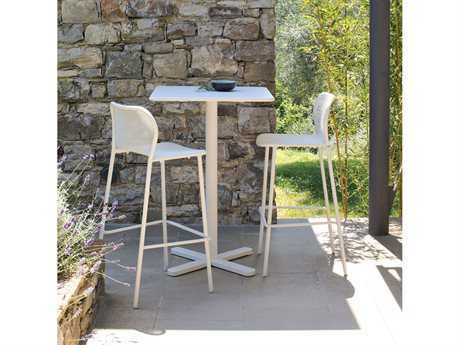 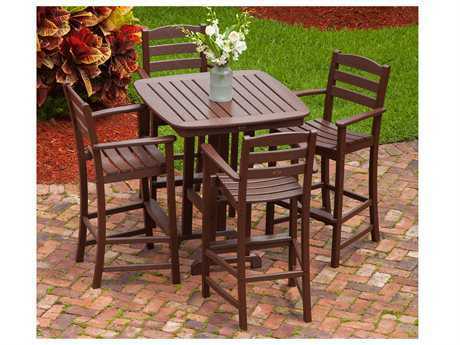 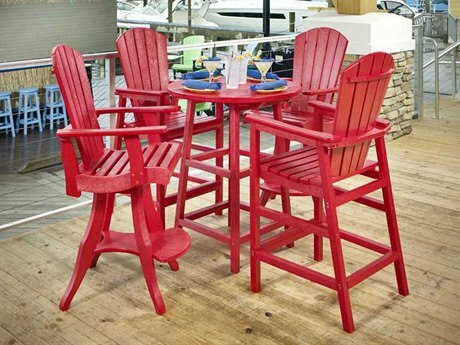 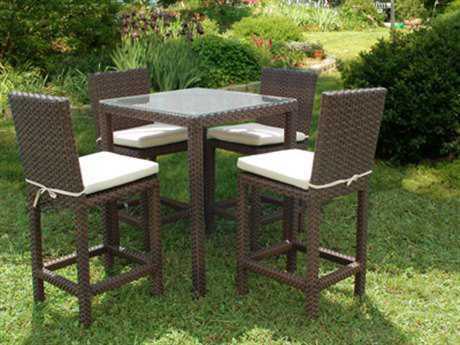 Patio bar sets are bundles of matching bar stools and either a table or long bar. 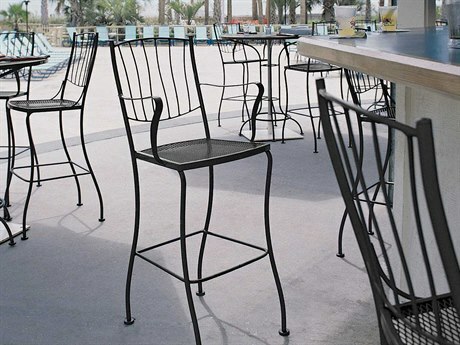 They’re available in an array of materials including aluminum, wrought iron, wicker, and recycled plastic. 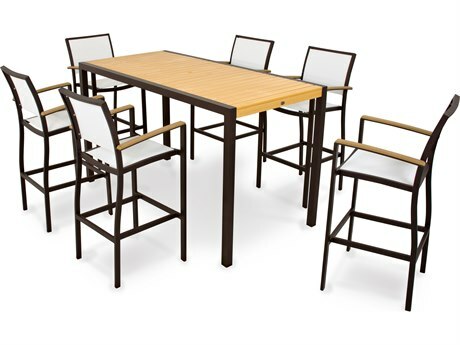 Tables can be round, square, or rectangular, and chairs follow suit with options ranging from square seats with detachable cushions to rounded edges with a swivel feature. 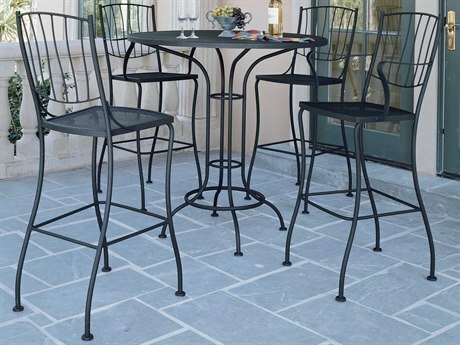 Accents on table tops, such as clear glass over a wicker base, and chair seats add a layer of customization to your patio bar set. 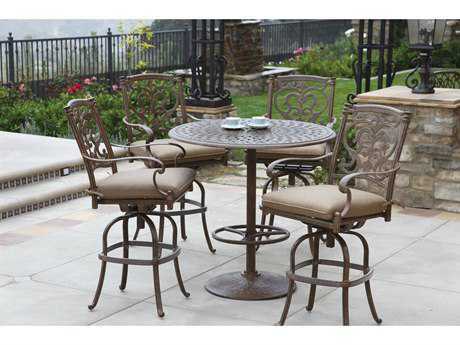 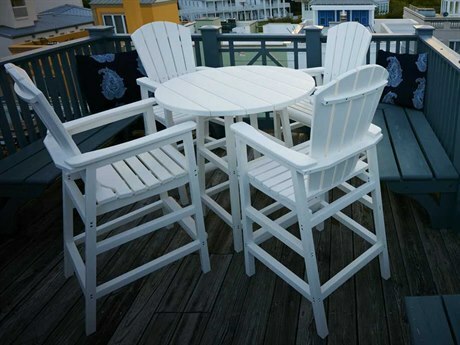 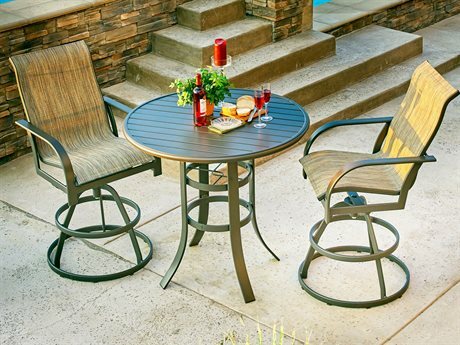 If you already have a bar installed on your patio, you can find a set of chairs only to complete your patio bar set. 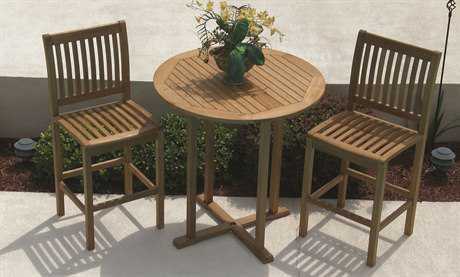 Residential and commercial quality outdoor bar sets are available from single chair to ten or more bar chairs. 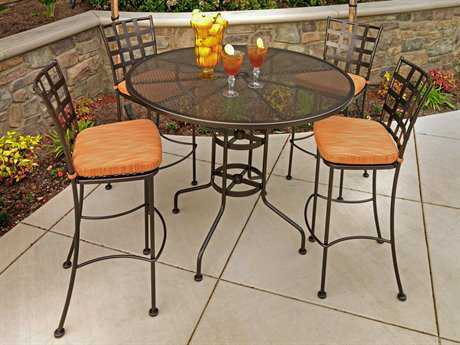 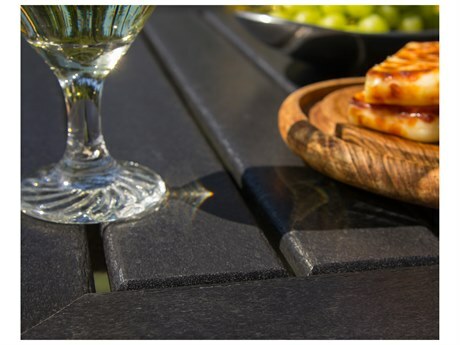 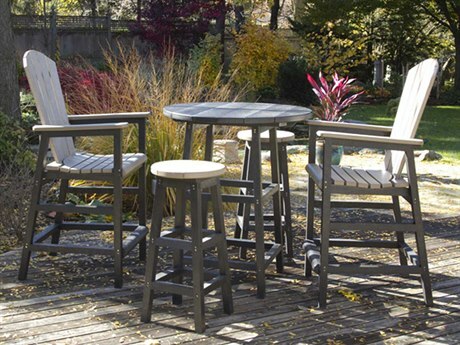 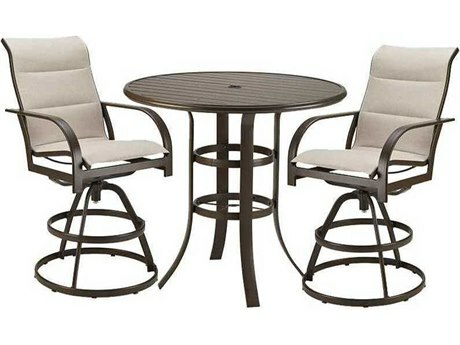 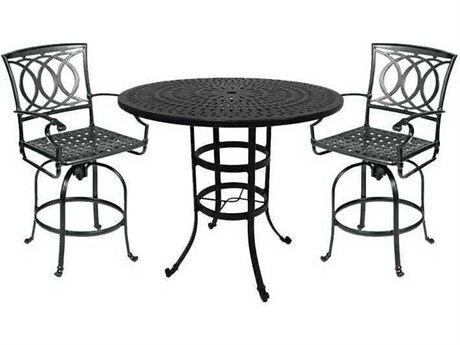 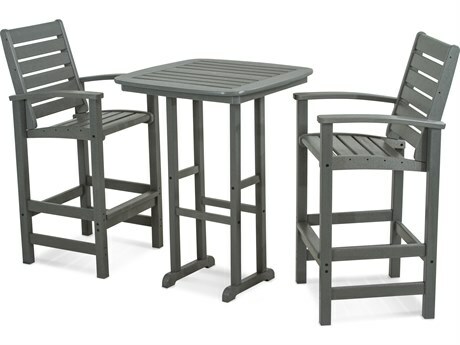 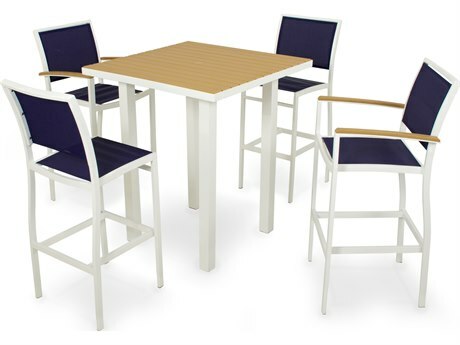 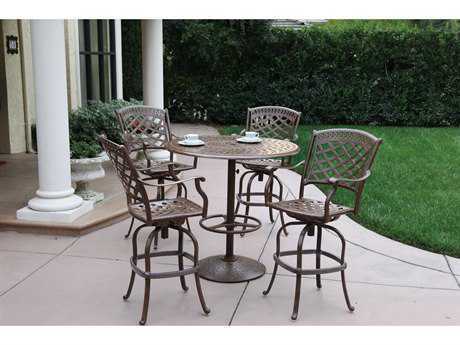 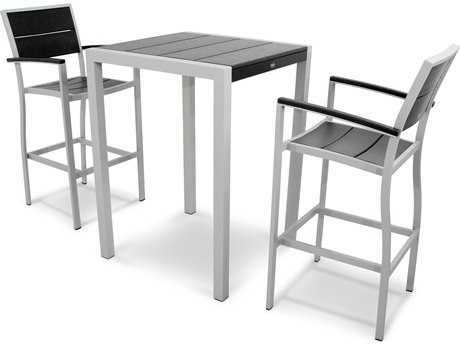 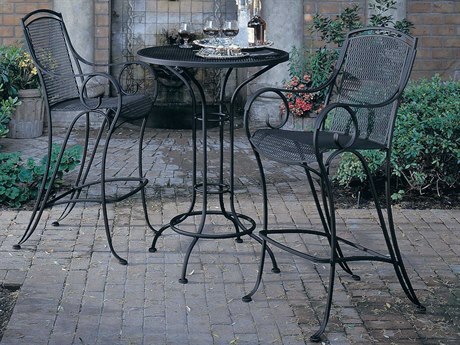 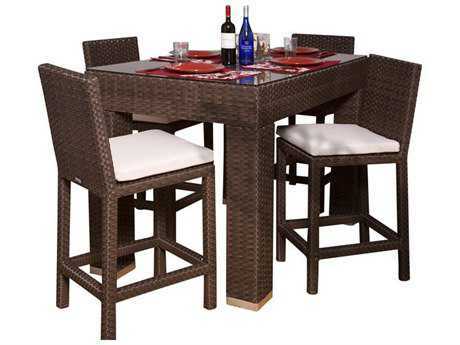 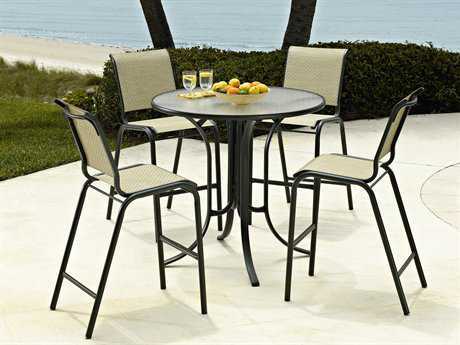 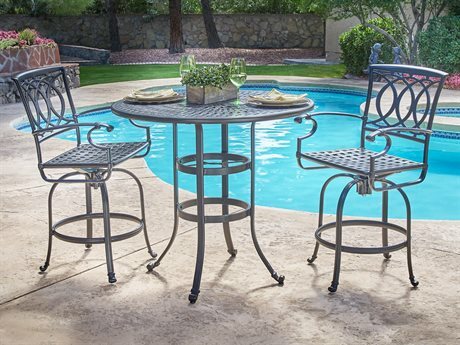 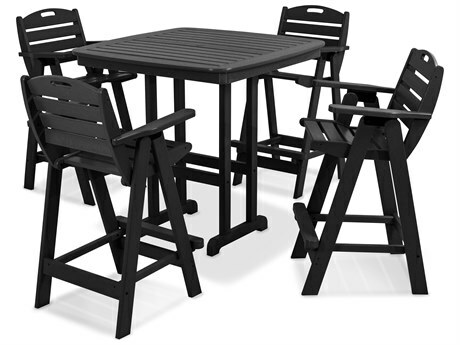 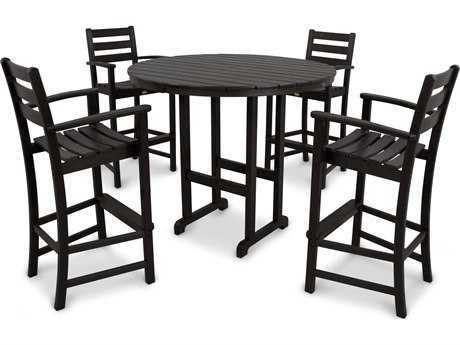 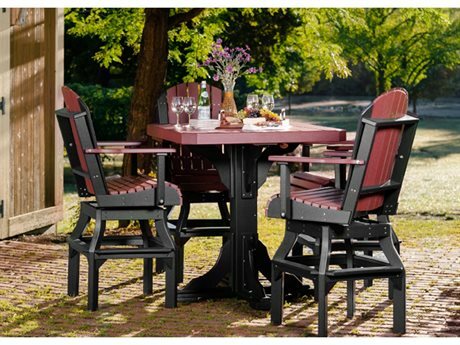 A main feature of patio bar sets is their height. 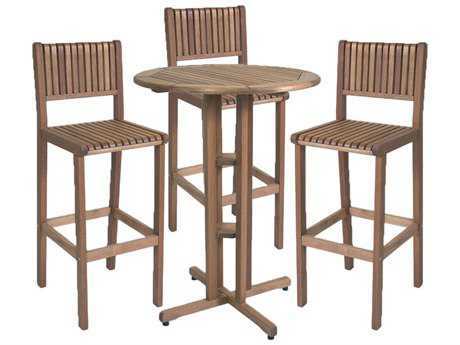 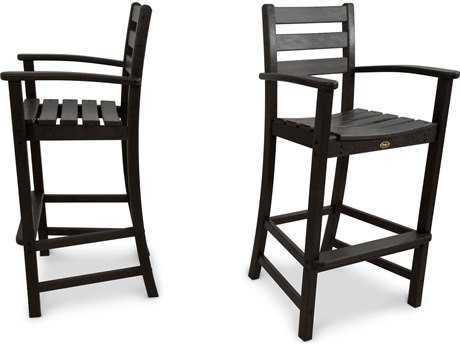 Bar chairs and stools tend to be taller than other furniture. 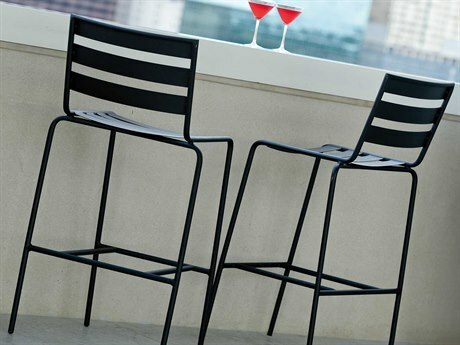 This elevation subtly creates a modern and casual environment. 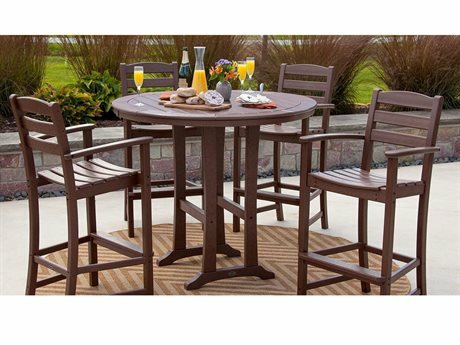 Buying in sets makes furnishing your patio easier with their built-in matching component if you need help putting a cohesive layout together. 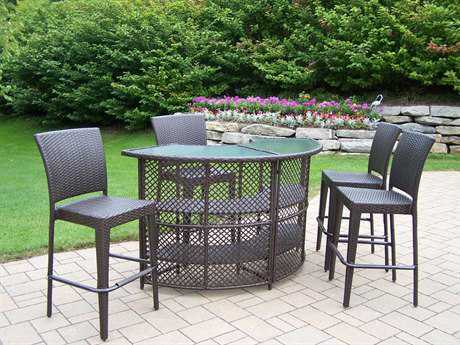 And because you can purchase sets of bar chairs alone, you always have the option to grow your outdoor bar set to fit your ever-changing lifestyle. 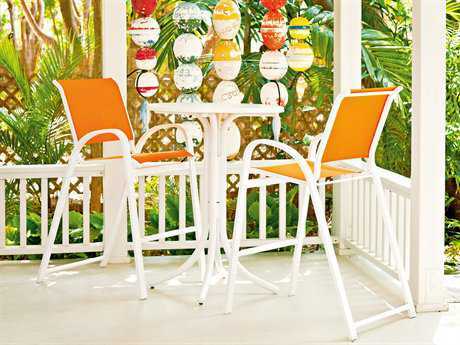 Some bar sets are equipped to hold an umbrella, making them versatile for a poolside retreat or an outdoor barbeque. 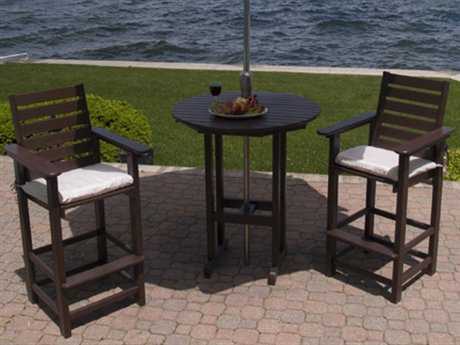 Available in aluminum, cast aluminum, wicker, wrought iron, steel, teak, wood, recycled plastic, and resin with a variety of detachable cushion fabric options, the wide range of patio bar set styles ensure something for everyone For a sunny patio, you’ll find sets with either an umbrella hole or a freestanding umbrella included. 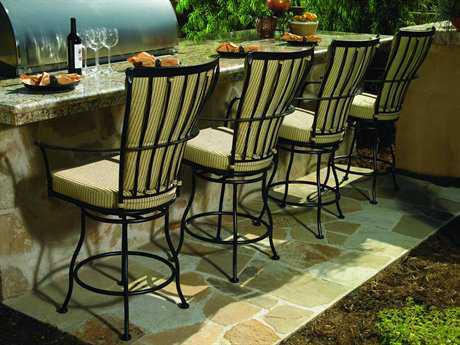 Long, rectangular bars matchup with outdoor grills perfectly to complete a barbeque area. 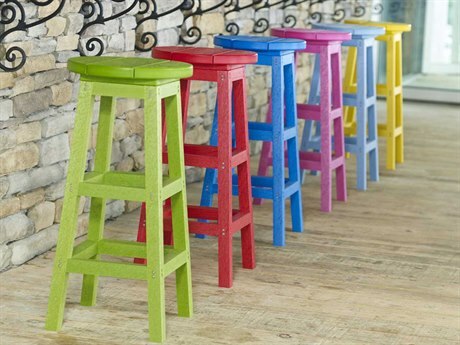 Recycled plastic bar sets with backless stools, such as those made by LuxCraft, mimic wood with the added weatherproof benefit and are available in a rainbow of vibrant colors. 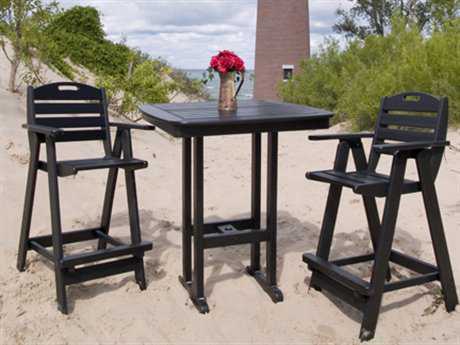 They also include storage shelves for your bar supplies. 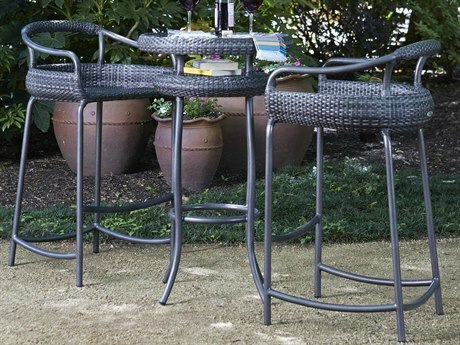 You don’t have to go out to have a romantic dinner when you have a bistro-style outdoor bar set for two at home. 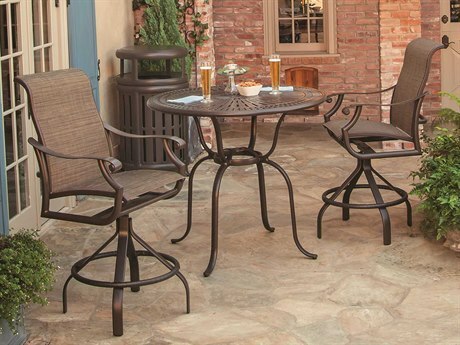 Open a bottle of wine beside an elegant stone fireplace and recline into your cushioned swivel bar chairs.